Little information is available for geothermal gradients associated with deep aquifers, primarily because there are few wells that have been drilled to the deep aquifers. Temples and Waddell (1996) reported temperature data for a deep well on Hilton Head Island. 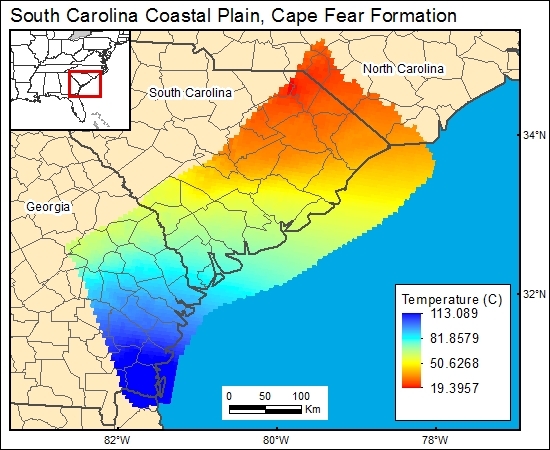 However, we chose to use the geothermal gradient data from Kinney (1976) in which they showed a geothermal gradient of about 1.38 °F/100 ft (25.5 °C/km) for southeastern South Carolina.